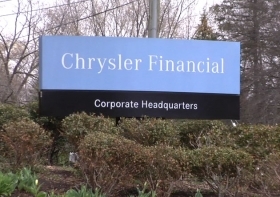 Only a “handful” of commercial banks could afford Chrysler Financial, says one analyst. NEW YORK (Bloomberg) -- Toronto-Dominion Bank Chief Executive Officer Edmund Clark said the bank may “surprise” investors this year with the performance of its U.S. consumer bank and growth of auto lender Chrysler Financial Corp.
“I think we will surprise the market with how well we'll do operationally,” Clark said Tuesday in an interview at Bloomberg's headquarters in New York. Under Clark, Toronto-Dominion has spent more than $25 billion on U.S. acquisitions since 2004, including an agreement in December to buy Chrysler Financial from Cerberus Capital Management LP for about $6.3 billion. Chrysler Financial will become a top 10 auto lender in the U.S. market within three to four years, increasing its assets to about $20 billion to $30 billion, from $7.5 billion when the deal closes, Clark said. Chrysler is adding about 200 dealers a week to its network, and will finance loans for buyers of all car brands, he said. Toronto-Dominion set a profit target of $1.6 billion a year from its U.S. businesses by 2013, and told investors in December that it may surpass that. Canada's second-biggest bank had $1 billion in U.S. profit in the fiscal year that ended Oct. 31. Chrysler Financial will add $100 million to the bank's earnings by 2012, and it expects new loan originations of about $1 billion a month the following year. The Chrysler transaction is scheduled to close in the fiscal second quarter, pending regulatory approvals. Ally Financial Inc., the auto and home lender majority-owned by U.S. taxpayers, reported a fourth straight quarterly profit Tuesday as the mortgage unit became profitable and car and truck financing gained. “The risk of a car loan is higher than it would be in a secured loan of a different kind of lending, but the margin is also better,” said Robert Sedran, an analyst at CIBC World Markets in Toronto. “So I still think it's an attractive business” for Toronto-Dominion. The auto lending expansion will help Toronto-Dominion match its growing deposit base with more U.S. assets, narrowing an $80 billion gap between the two, Clark said.